Catchy Title Blog | How Many Words Should You Write In A Day? You’re a writer. How many words should you write in a day? Don’t worry, it’s a rhetorical question. There is no right answer. No wrong one either. But if words are the measure of your output, (which they usually are), then it will, I’m sure, be a question that will have crossed your mind at one time or another. Ernest Hemingway kept a chart of his progress on the side of an old cardboard packing case. He claimed to write 500 words a day, and when an interviewer came to see him the numbers on his chart seemed to broadly confirm this estimate. They read 450, 575, 462, 1250, and 512 (an average of 650 words). Stephen King admits to writing ten pages a day. If we take a typical page to be 350 words, then this is seven times Hemingway’s output, and a similar work rate to Erle Stanley Gardner who wrote about a million words every working year. These are both prolific writers of course. 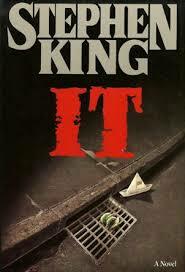 Gardner published 231 novels and 3 non-fiction titles, while Stephen King has 54 novels and several volumes of short stories to his name, and is still writing. King’s novels have a reputation for being big. ‘The Stand’ is 1,153 pages long, and ‘It’ is 1,132 pages. Taken together these two books would be 800,000 words. You need to be a very productive writer to turn out books like that. There is another end of the spectrum of course. Not every novelist is a sprinter. For some, writing seems more like a gentle stroll. J.R.R. Tolkien took eleven years to write ‘The Lord of the Rings,’ a rate of around 275 words a day, and Donna Tartt took ten years to produce ‘The Goldfinch’ at a writing speed of just 75 words a day. To help you to put these numbers into context, the seventy fifth word of this blog post was the word ‘cardboard,’ (so this whole piece might have been a week’s work for Ms Tartt.) 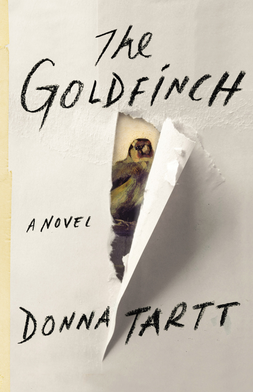 If you’ve read ‘The Goldfinch’ (and I’d recommend it) your abiding memory of the book is sure to include its length – almost eight hundred pages. It might surprise you to learn that a book this long could be crafted so slowly. But perhaps this is the secret of novel writing. Given enough time, even the slowest writer should be able to create a masterpiece. All you need to do, is to spend time getting the words right, and not to worry too much about getting it all finished. Tartt’s prose is exquisitely created. She is a miniaturist, focusing in on the sharpest details of her story. Writing that good does not come quickly. It is easy, when you read Tartt’s prose, to imagine the author devoting a day to each page of her writing. And why not? She wasn’t in a hurry. It was the quality of the words that mattered to her, not the quantity. This attention to words seems to be the hallmark of great writing. 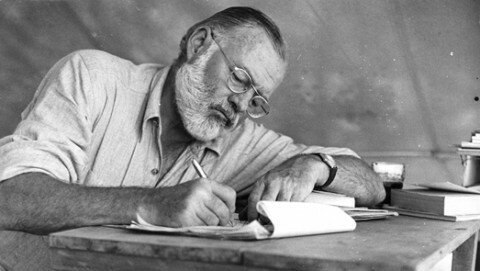 Hemingway rewrote the final page of ‘Farewell to Arms’ thirty nine times before he was satisfied with it. Marcel Proust took fourteen years to produce his masterpiece, ‘A la recherche du temps perdu,’ at a pace of just 275 words a day (the same as Tolkien,) a work rate that would seem sluggish to writers like Stephen King. What was Proust doing all day? Well, the truth is, he was probably writing, and rewriting, and rewriting – editing, trimming, cutting, and changing, until he was happy with the words he had. We should be grateful to him for his patience. His novels became a central part of modern literature. It is a lesson, perhaps, that we all can learn from. Good writing is rarely dashed off without a second thought. It cooks slowly. We just have to give it time.